When it comes to the aging in place sector within digital health, there’s other companies and then there’s GreatCall. 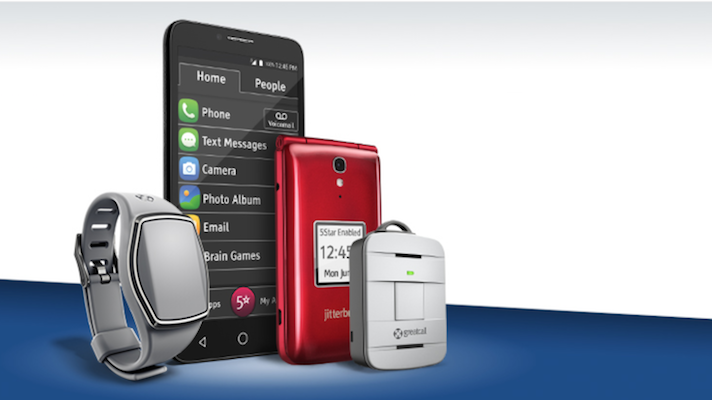 From its mid-2000s roots as a “smartphones for seniors” company, GreatCall has consistently seen the direction in which the market will turn and anticipated it, often by acquiring other companies like digital mPERS company Lively and remote monitoring company Healthsense. All this led the San Diego-based company to not one, but two recent exits: It was sold for an undisclosed amount to private equity firm GTCR in 2017, then sold by GTCR to Best Buy for $800 million the following year. And CEO David Inns has led the company through it all. For our focus on the Silver Tsunami, MobiHealthNews caught up with Inns to talk about how GreatCall approaches and understands the role of technology in senior care. This interview has been edited for length and clarity. MobiHealthNews: What are some of the steps that need to be taken to realize the promise of the consumerization of healthcare in the senior population in the United States? Inns: I think one of the primary things that we believe is [that] using technology to engage with the consumer on a more regular basis between traditional healthcare business is a huge step towards not just improving engagement and delivering more value for the consumer, but it also allows you to provide a better care experience and lower cost. So if you have remote monitoring in the home of a senior, we feel that it improves the overall member experience, they feel like the healthcare company is more concerned about their general wellbeing, and we’re able to reduce the cost of the healthcare because we can use that data to predict issues and get ahead of them before they become expensive. We’ve completed three studies, one of which was published, which shows we can soak up 20 percent of the healthcare costs of the population that we’re working with, and that was primarily in reduction of longterm care expenses as well as reduction of hospitalization by predicting healthcare issues that were developing with the senior before they became expensive health episodes. And we’re able to substitute an expensive health episode with something less expensive like a non-skilled care worker visit, a skilled care worker visit, which is still a lot less expensive than a hospital visit or a doctor visit, or things like changing your medication. MobiHealthNews: I’ve always thought of you as kind of a direct-to-consumer retail company, certainly Best Buy is a direct-to-consumer retail company. When did you start working with hospitals? How much of a part of your business and business model is that? Inns: We’ve really been focused on it more intensely over the last two years, but over the last two years we’ve really been ramping up this business. You probably saw our press release about a partnership with Senior Whole Health which was announced, which is a division of Magellan Health where we are using our aging modeling solution to help monitor seniors and again improve engagement and reduce healthcare costs in their base. And then, being a part of Best Buy Health, that also brings in access to Geek Squad. So any time you’re doing remote monitoring, especially in the case of seniors, obviously having the ability to install and manage technology in people’s homes is a massive capability that we now have access to through our relationship with Best Buy. But we’ve been doing this for some time and it’s a big part of our growth strategy. You mentioned providers, but really where we are focused is with managed care organizations which are primarily payers. Inns: We’re big believers that in order to have an impact on the healthcare system you have to have an impact on the senior population because that’s where the bulk of the costs exist. But when you’re doing that, when you’re shifting the focus to seniors, you really have to put a different lens on it. Because when you look at things like smartphone penetration, 65-plus smartphone penetration is still below 60 percent, and it’s below 30 percent for 75-plus. So thinking that we can solve these problems or engage consumers with just app-based strategies or certain watches that connect to smartphones, you’re going to run into a big barrier there in the short term with the seniors who could benefit from that technology the most. … Lively Home is our activity for daily living project, and this is why we’re so excited about ADL vs vital monitoring. Vital monitoring is going to play a very important role eventually but, again, when you’re focused on seniors, you have to be really thinking about … how much change in the way they engage in their activities of daily living you’re asking them to adopt. Because the more you’re asking a senior to change their behavior in order to take advantage of your solution, the more likely you’re going to fail. Versus ADL monitoring, where we have Geek Squad come in, they set up the sensors, and you know what we tell the seniors they have to do? Nothing. Keep doing exactly what you do and we will call you if we’re at all worried about anything that’s happening. MobiHealthNews: I talk to a lot of people working in the aging market and there’s a refrain of ‘We’re too quick to assume that they can’t do this or that they won’t do this. Really they can be very engaged’. What’s the balance between recognizing that this is a population that won’t all be able to do behavior change, but also not underselling them, where there might be a solution that could be useful for a subset of folks who actually will use it? Inns: The way that we achieve that balance is to be constantly working with our target customers and we use lean methodology development capabilities. So we’re doing a lot of interviews, we’re doing a lot of motion studies, and we are pushing the limits and seeing what can be expected to be successful in terms of the amount of behavior change that can be expected, and what can’t. And, you know, whoever’s saying that people are underestimating the amount of behavior change, I’d say there are more people who are overestimating it. There have been a lot of people coming into this market thinking they can drive behavior change in this market and they’ve failed. Developing solutions that work, that deliver a benefit for the caregiver or deliver a benefit for the healthcare system and overestimate how much behavior change the senior is willing to take for the benefit of somebody else? That’s a problem. That’s going to be a failed solution. MobiHealthNews: From your perspective, as you work on R&D and improving the products that you offer, what direction of improvement makes sense with this kind of mindset? Inns: Right now, the number one priority for us is working on predictive analytics. We have kind of been the leader of this space, as you know, for a number of years through the acquisition of the company HealthSense three years ago. The key there was what their team of AI and machine learning experts who are really deep into using information about seniors to be able to predict what might be happening to them before it happens in terms of some concerns. So to me, our big focus in general is: how can we use our connectivity with seniors to get more data that would be useful for predicting outcomes and predicting issues that are arising with them before they happen. So whether it’s predicting social isolation, predicting depression, predicting likelihood of falling, predicting certain types of disease, these are critical areas. The better we can get at predicting them, more people are going to be able to stay in their homes longer and the better it’s going to be for the healthcare system. MobiHealthNews: There are a lot of seniors in this country and a lot of them have chronic conditions of various kinds. But also, reaching a certain age you need a certain amount of support. So how much do you think of yourselves as a medical/clinical company or solution vs wellbeing/wellness? Or is that kind of an artificial line when it comes to working with seniors? Inns: I think it’s becoming more and more of an artificial line. I would never say we’re a medical company, that’s for sure. But the line between everyday living needs and everyday health needs is getting blurred. Because more and more research has been done to show that the everyday living needs like communication, social engagement, safety and security, that those can have a larger impact on the overall wellbeing of seniors than management of a chronic disease, at least from a technology perspective. There’s still a lot of research showing that the onset of depression is what leads to a lot of the health issues and chronic disease issues in the senior population. So I think that more and more people are realizing the line between these issues is greying and if you approach it only from the medical perspective without looking at the living, you’re only looking at the tip of the iceberg. MobiHealthNews: What about the demographic realities of the Silver Tsunami and the baby boomers aging into that group? It’s that something you think a lot about in crafting your strategy? Inns: We’re always kind of looking out down the path of — we’re really targeting the seniors and the family caregivers who are in that transitional period of starting to worry about independence. So we’re always looking at who are that next batch of seniors who are going to be moving into that area, and how are we going to serve them and engage with them? And that’s why you see things like launching a wearable that works with a smartphone. We want to be able to help those seniors who have now adopted smartphones and are carrying them around with them regularly, and help turn that smartphone into a device that’s going to keep them independent longer.